Niod has exploded over the blogosphere recently, and, whilst slightly intrigued by the good press they’ve been getting, the overly-complex names, and overly-simplistic product descriptions have been confusing the heck out of me, so I’ve largely avoided them. However, a few people I know and trust on Instagram have had good things to say about Niod Photography Fluid Opacity 12%, so I figured I’d take my first plunge into the brand, albeit in a very small way. Designed to make you look wonderful in photos (I’ve heard it described as an “instagram filter in a bottle”), it’s an opaque white liquid, but it is suffused with microscopic gold particles which both reflect and refract light which lessens visible flaws and gives the optical illusion of “perfect skin”. So, is it a foundation or a primer? Actually, it’s neither, but in practice it turns out that it’s a little bit of both. I use it underneath foundation or tinted moisturiser, but couldn’t personally recommend wearing it alone. It doesn’t particularly extend the wear of a foundation (something I really expect a primer to do), but it definitely does enhance the look of foundation. However, if you’re a fellow sufferer of redness-prone skin, you might want to read on. Housed in a an amber-glass apothecary-style bottle complete with dropper (which I despise), the liquid is thick and opaque initially, and oddly, rather dry. However, three or four drops of the product blends away on the skin fairly easily, leaving a visible golden “glow” behind it. I am rather pink-skinned, and the yellow-gold of Niod Photography Fluid 12% Opacity hides it beautifully. 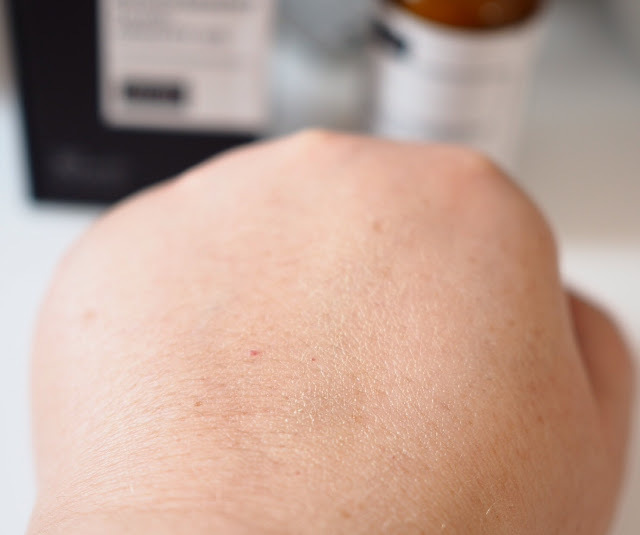 Seriously, it might be the best redness-disguising product I’ve ever tried. 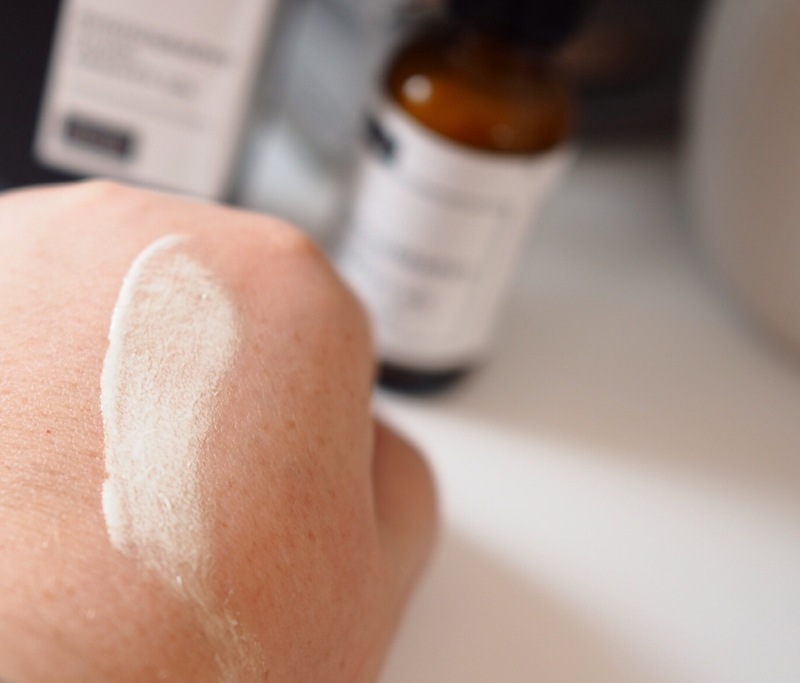 Personally, I find the glow that Photography Fluid leaves, whilst it evens out your skin beautifully, it doesn’t actually give nearly enough (in fact, any) coverage to be worn alone without another base product on top. 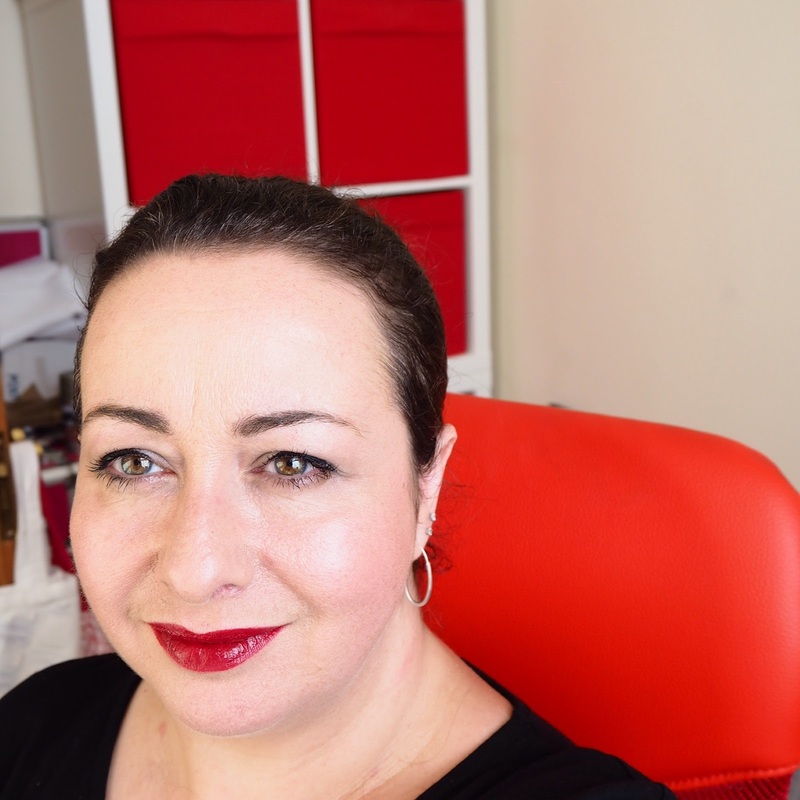 However your mileage might vary on that one – but I’m so pink that the thought of leaving the house without at least popping a smidge of tinted moisturiser on is horrifying to me! – but it is designed to be worn with other products at least. And as a layering product for redness disguising, it’s second to none. Genuinely. left side, naked skin. Right side: with Niod Photography Fluid 12% Opacity blended. The effect is hard to see in photos – which is pretty much as it should be, otherwise it’d look like a mask, and who needs that? – but skin does look “better”, more polished and even than it otherwise would do, with or without other base products. 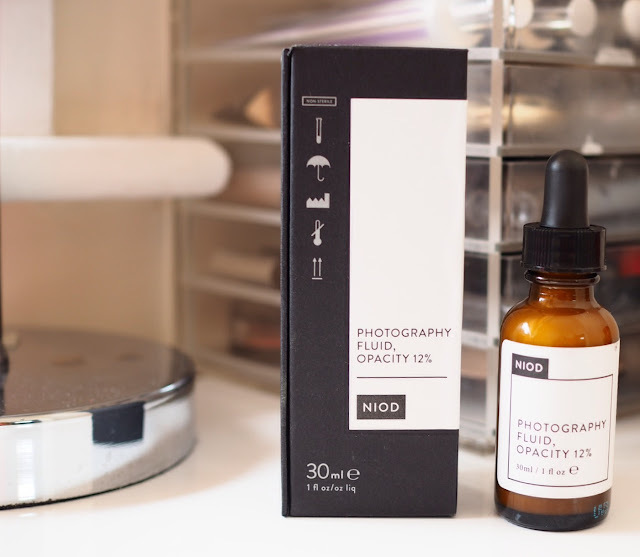 In person, the effect is even harder to see, there is no actual coverage built into Niod Photography Fluid Opacity 12%, so if you have visible flaws that you would normally see when not wearing foundation, that can’t be disguised with refracted light (open pores, for example, or scarring), then they would still be visible IRL, without the “soft focus glow”, that a camera lens gives to the product. Lipstick is Burts Bees crayon in Napa Vineyard. And yes, it does photograph beautifully, it can’t be denied. Even on my oily-combination, pink, open-pore-plagued, nearing-fifty-ish skin, it looks dewy and glowing, even whilst I’m scowling in strong sunlight. On the downside, the texture is oddly dry and surprisingly thick (lots more gathers on the outside of the dropper than ever gets into the dropper, making replacing it into the bottle a very messy business), and it can occasionally stick on drier patches of skin meaning you have to be careful about blending, and the dropper is beyond annoying because of the texture. All of this would be less of a problem if the product was supplied in a tube. But for me, the redness-disguising benefits (with or without a camera) outweighs both of those problems. 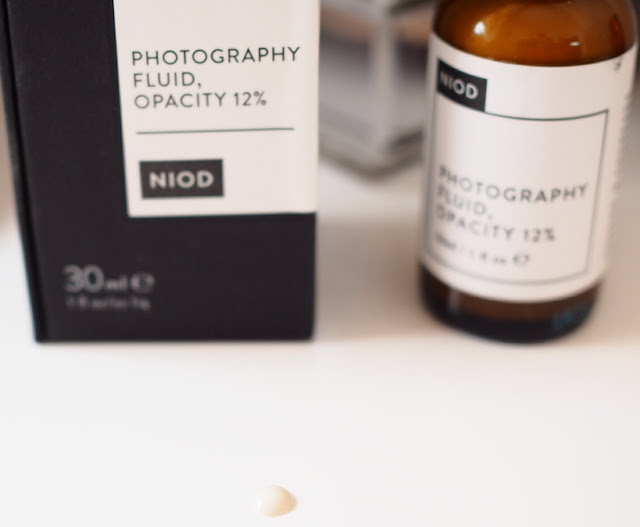 Niod have also introduced Niod Photography Fluid 8% Opacity which addresses one of those issues (texture), and I’ll be reviewing that in a future post, but the glass bottle with the dropper remains a bugbear. If you don’t spend much time taking selfies, you might not need this, but if you have worries about redness and uneven skintone, then you definitely do. I’ve certainly been happier with my selfies since I bought this.